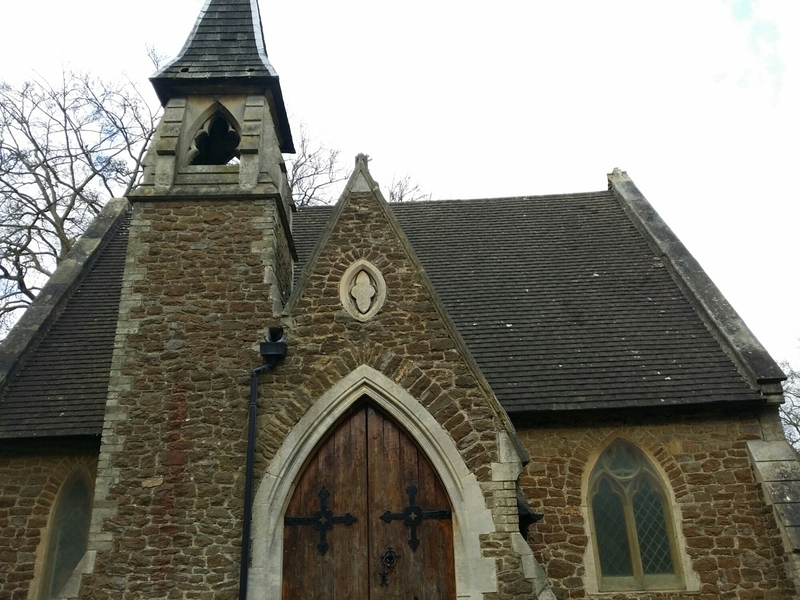 It seems almost impossible that I should have neglected to find the final resting place of the author of my favourite book, Alice in Wonderland. And yet I did. 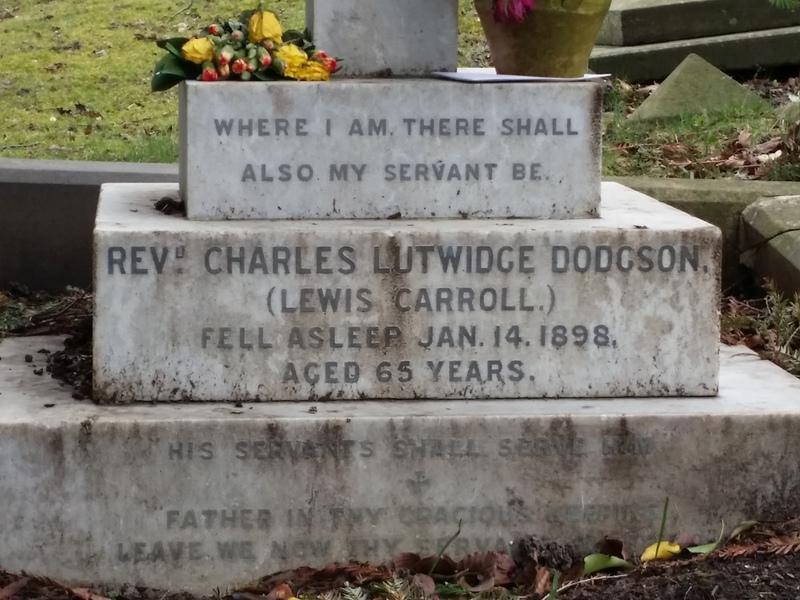 I assumed that Lewis Carroll was interred somewhere in London or Canterbury perhaps. 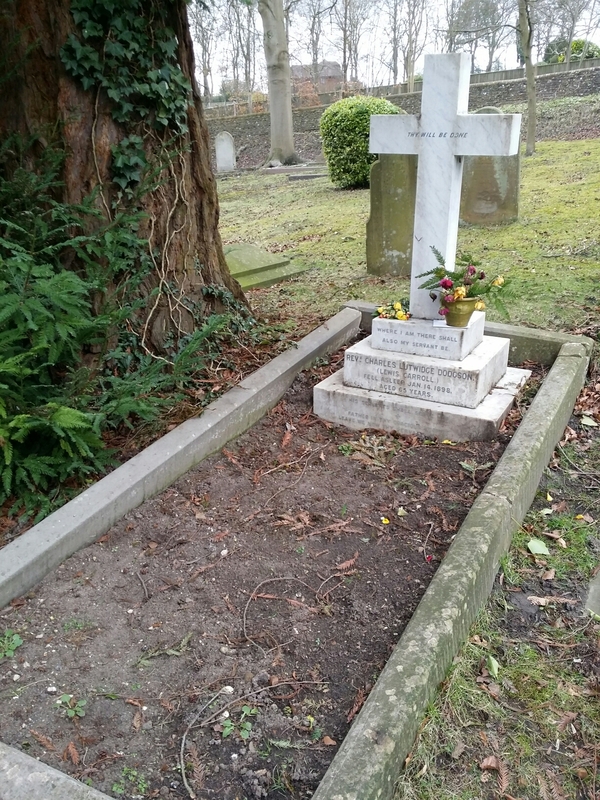 The truth is he rests in a fairly unassuming graveyard in Guildford, roughly 45 minutes drive away from my house. As soon as I found this out, I knew I had to add it to visit. 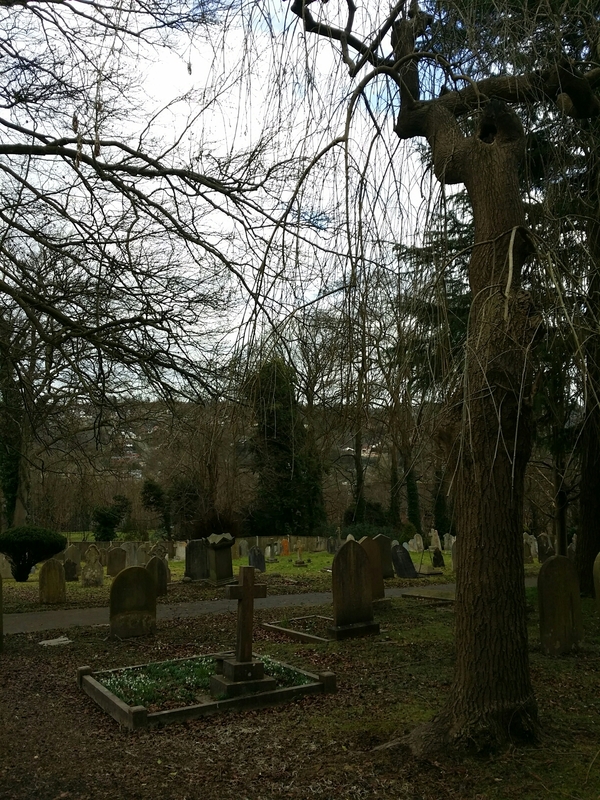 Mount Cemetery sits above the town, modest and green, a little chapel waiting to one side. 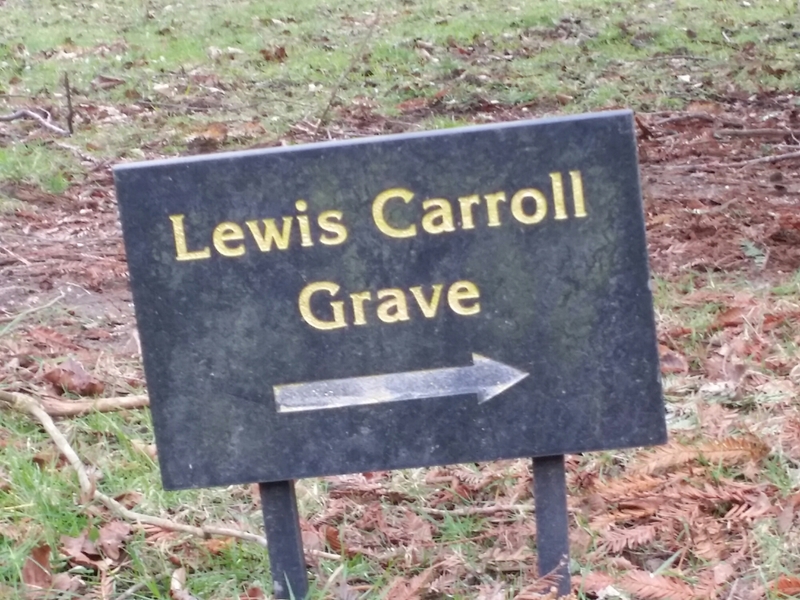 A handy sign points to Carroll’s grave, not far off from the chapel. The white cross stands out against the moss-covered stones around it. In the spring, I imagine there would be flowers on top of the grave instead of plain soil. As it was, the only flowers I saw were at the foot of the cross. As you can see one sits on top of a note. Left by a relative or a reader? Who knows. I didn’t wish to disturb it. Being as this is ‘Mount’ Cemetary, it’s on a bit of a steep hill; something to remember if you’re going to visit! Personally, I thought it was a worthwhile climb. Some might wonder at the point of seeing a gravestone and a patch of earth. I’m not expecting an epiphany or heightened state of emotion when I visit these places, even when it involves my favourite book. It’s a way to pay my respects to writers that have left a lasting impact on the world and sometimes on me as well. Ultimately, the closest you can get to any writer is via their words and thankfully you don’t need to climb a hill to get to them. Just open a book and stroll on in. Have you ever visited any writers final resting place? What did you take from the visit? Did you leave anything special? Share your experiences in the comments. I love Terry Pratchett & Neil Gaiman – so Why Don’t I Love Good Omens?